Fundamentals of Art students in Mr. Hwang's class used acrylic to paint their favorite pop culture icon with beautiful transparent patterns. Studio Art focused on watercoloring portraits of someone they admire in their life. 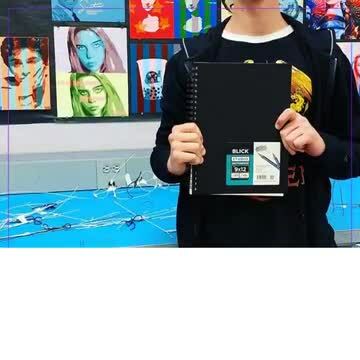 All selected students were voted by their peers as Artist of the Month and were awarded art supplies. -Sports "Varsity Softball: Easter Competition"